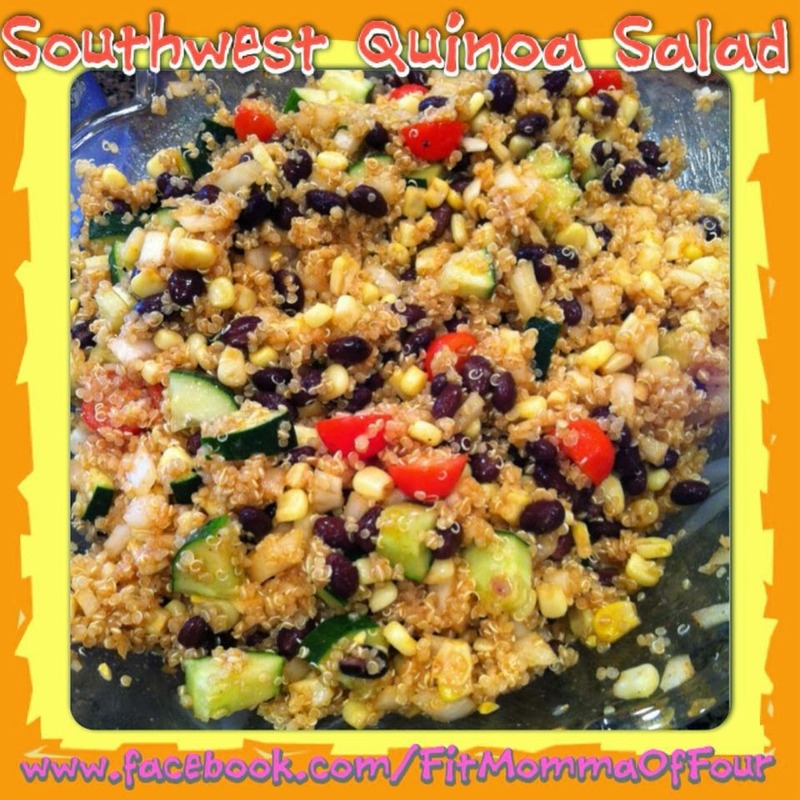 I love quinoa & am always trying it in new recipes. Today I was feeling the flavors of the Southwest. It turned out pretty well, if I do say so myself. Bring 2 cups water & 1 cup quinoa to a boil. Lower heat to low .& simmer about 10 mins. Remove from heat & allow to cool. In a bowl whisk together 3/4 cup apple cider vinegar, 1/2 cup extra virgin olive oil, 2 tsp. chili powder, 2 tsp. cumin, black pepper & sea salt to taste, & 1 tsp. blackstrap molasses. Dice 1 small onion, 1 cucumber, 1 cup cherry tomatoes. Drain & rinse 1 can black beans. Thaw 1 cup frozen corn in a colander by running hot water over it. Combine all ingredients & mix well.